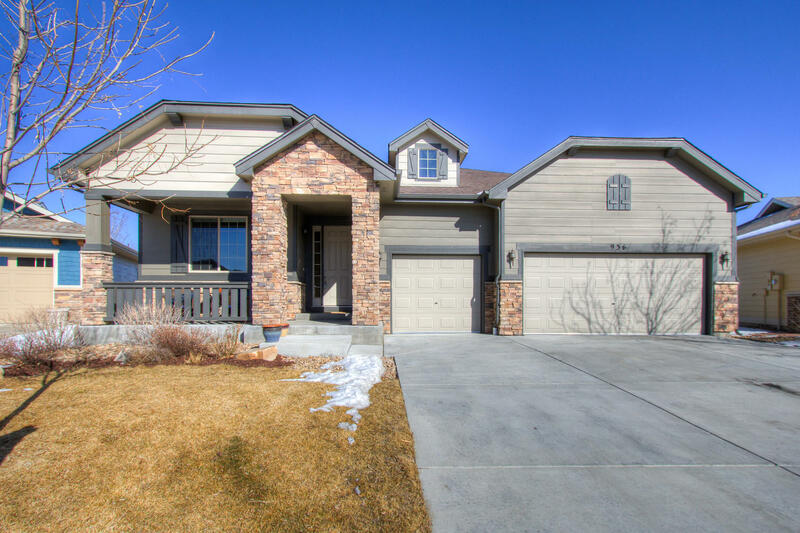 Looking for the hard to find open and graciously sized Ranch in Fort Collins with a 3 car garage? This one is sure to please, with a spectacular floor plan - spacious, flexible, and bright with large picture windows throughout and no homes behind! 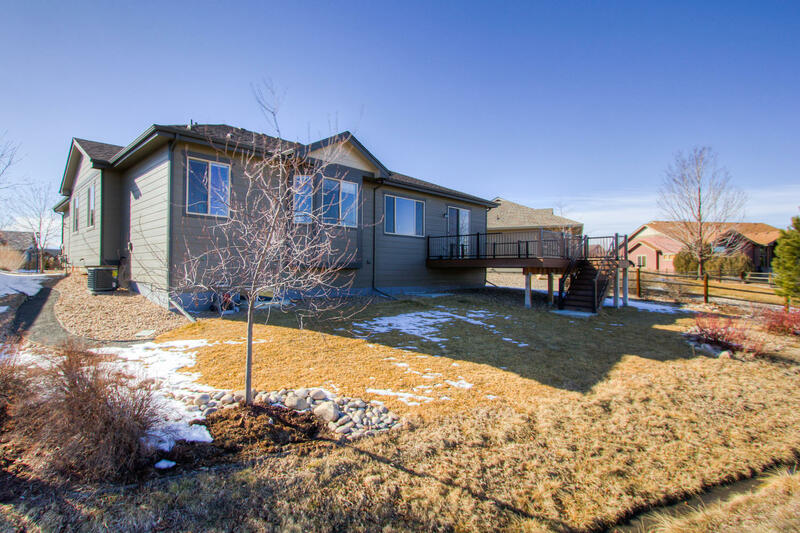 Nestled on a premium oversized lot in popular Clydesdale Park, nearly 9,000 SQFT with an expansive newer composite deck off the back at nearly 300 SQFT to enjoy amazing sunrises and ultimately Colorado outdoor living! 5 Bedrooms + a spacious main floor study + private Dining Retreat + 4 Bathrooms + a 3 car garage with over 4,000 finished square feet! Newer energy efficient 2013 build, high efficiency furnace, central A/C, seal combustion hot water heater, Hardwood floors, upgraded high traffic carpet. Storage galore in this gorgeous ranch, large covered front porch, and sprinkler system both in the front and backyard, with stately curb appeal with a modern feel AND a massive fully finished Basement with upgraded 9ft ceilings! 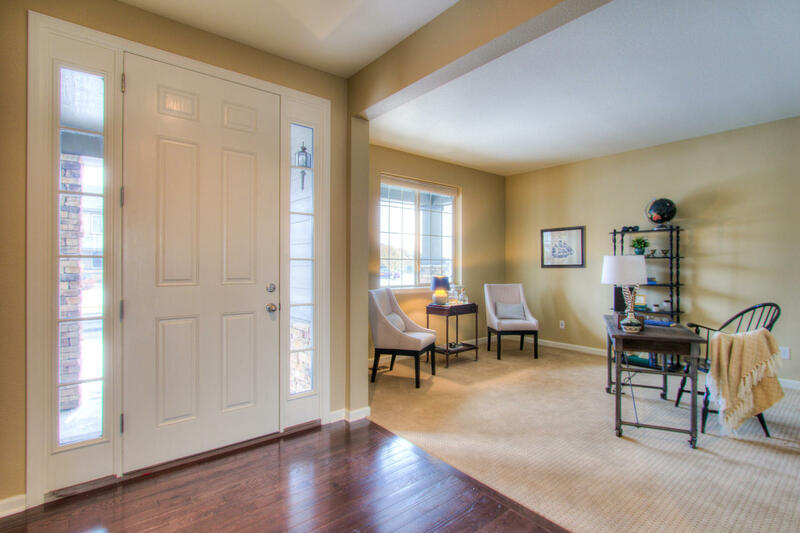 Relax in comfort in the beautiful Master Retreat featuring its own bay window and tray ceiling and 5 piece Master Bathroom with upgraded shower head, slab granite countertops, upgraded lighting and spacious walk-in closet! Beautiful tile flooring in all the baths and laundry room. Complete with an active radon mitigation system, and perfectly appointed chef’s kitchen with 42” white cabinetry with roll-out shelving, stainless steel gourmet kitchen appliances (gas cooktop and double wall ovens) slab granite, amazing walk-in pantry, vaulted ceilings, updated lighting, and large 8-0” entry door and also includes a 3-0” secondary bathroom door and secondary bedroom door and custom window treatments – convenient blackouts in all bedrooms. Exceptionally located just minutes from I-25 and Old Town Fort Collins, community ponds stocked for fishing! Builder’s original 10 year structural warranty transfers over to the new buyer!